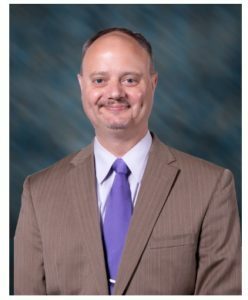 In a closed meeting last month, SBCISD Board of Trustees voted to extend the contract of Superintendent of Schools Dr. Nate Carman for one more year. Although most school officials didn’t want to comment after the decision was taken on December 18, 2018, the district released the information this week after the News submitted questions regarding Carman’s evaluation and salary. The vote for the extension was unanimous. In an email, SBCISD Interim Public Relations Director Isabel Gonzalez said Carman’s current contract is effective through Sept. 4, 2021. At the December 18 meeting, Gonzalez said the board approved a one-year extension. That extension will end on Sept. 4, 2022. “Once the new contract is signed by all parties, it will be posted on the school district’s website, where all of Dr. Carman’s employment contracts are posted,” the email read. Gonzalez said Carman is evaluated annually and his current salary for the 2018/2019 academic year is $202,776.